That’s right. We’re taking it to the screens. The Myers-Briggs Type Indicator describes sixteen distinct personality types that can teach us about our strengths and weaknesses. 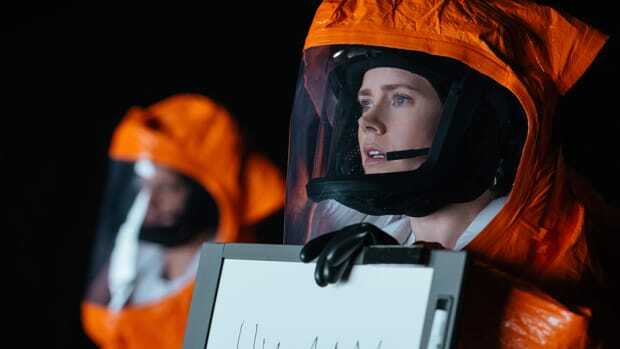 The MBTI can even help us understand why we relate to some people more than others—including fictional characters. 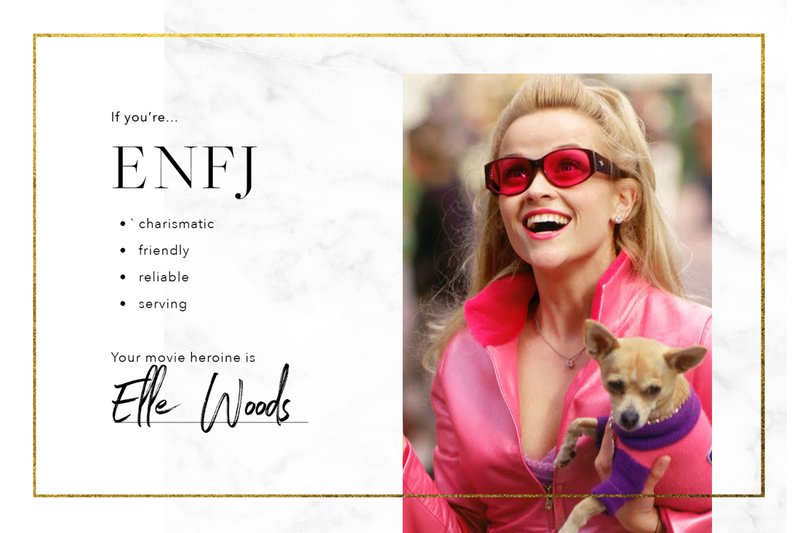 We’ve matched leading ladies of cinema from the 1940s to the 2010s with each Myers-Briggs type. Of course, while the MBTI explains how we perceive the world and interact with others, this personality model doesn’t suggest that all people who resemble a type will behave in the same way. 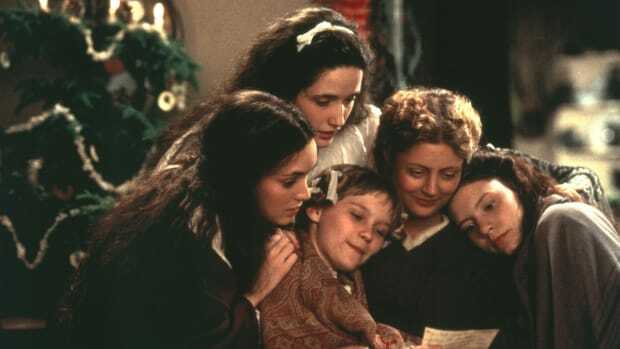 Nevertheless, you may see some of your own traits reflected in one of these on-screen heroines. Enjoy! 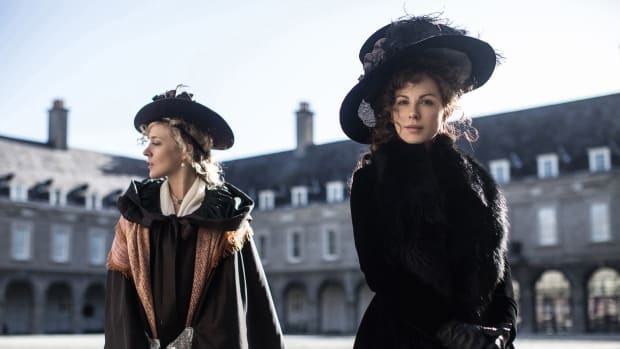 Cary Fukunaga’s 2011 adaptation of Charlotte Brontë’s best-known novel paints Jane Eyre as an observant, imaginative, and ambitious INFJ. 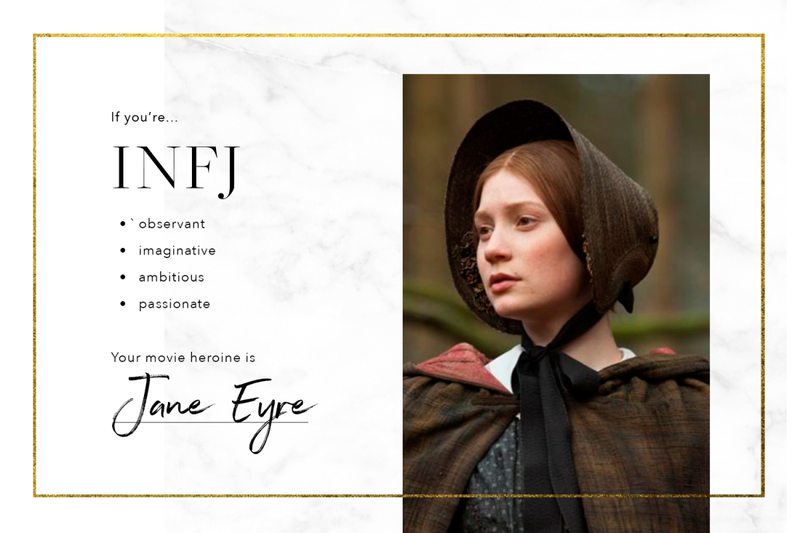 Jane shares the INFJ’s strong moral code, strong opinions, and independent will. This passionate and empathetic heroine shows a genuine concern for others. 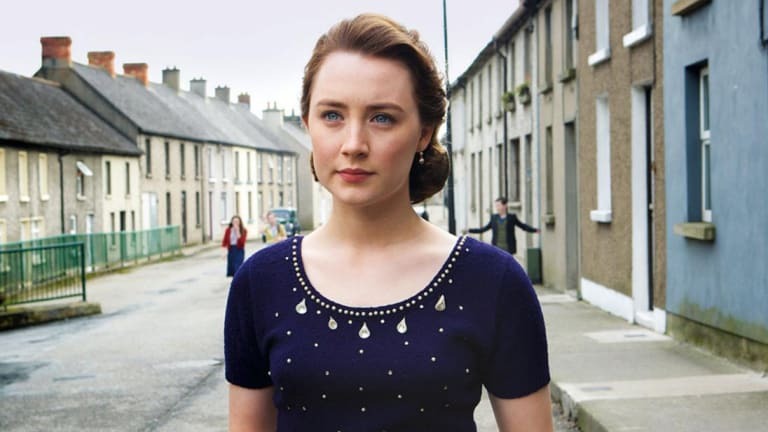 In the 2015 film adaptation of Colm Tóibín’s novel Brooklyn, Eilis Lacey captures the altruistic and thoughtful temperament of the INFP. Eilis can be reserved, but her feelings are strong. At once open-minded and firm in her principles, she’s able to adapt to new environments without losing her sense of identity. When Elle Woods made her debut in Legally Blonde (2011), she won over audiences with her charisma and genuine friendliness. Tolerant and reliable, Elle is a natural leader; her intuition and passion for people guide her work. Elle displays the ENFJ’s commitment to serving others. 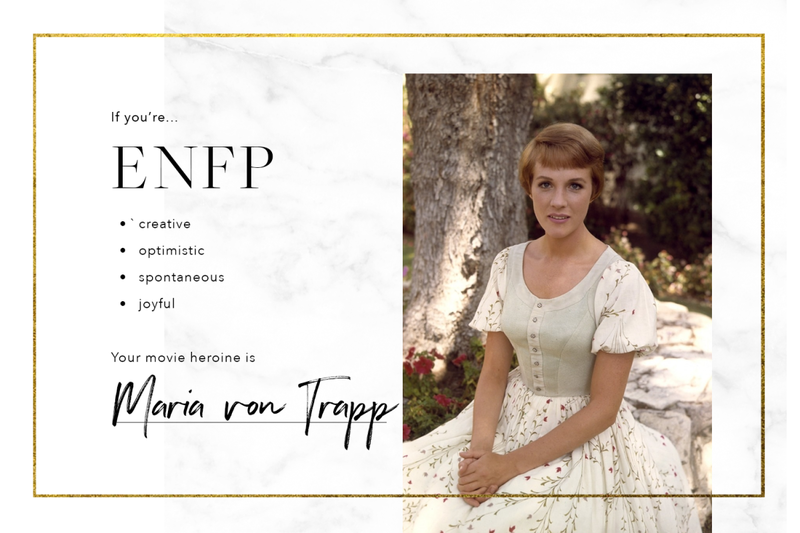 Maria von Trapp of The Sound of Music (1965) portrays the ENFP’s creative, optimistic nature beautifully. Maria brings spontaneity and joy to life. 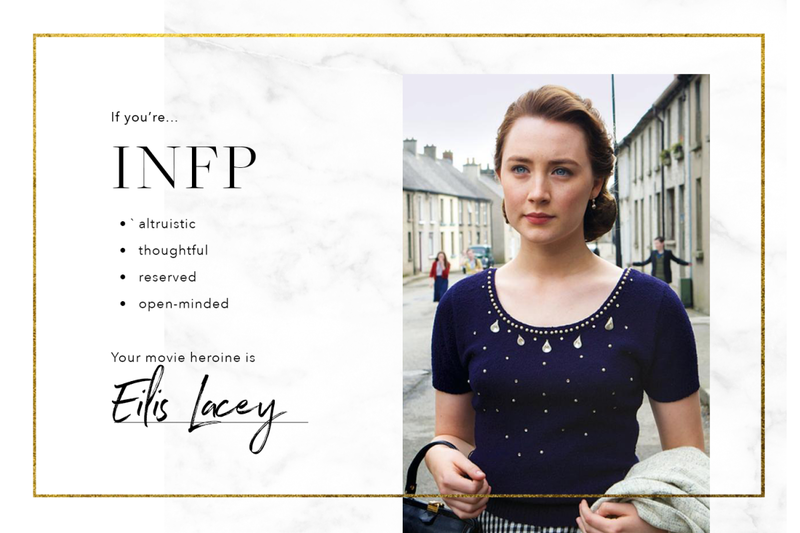 Like a true ENFP, she not only knows how to connect with others, but she also has a knack for bringing out the best in them. The heroine of Star Wars: The Force Awakens (2015), Rey shines as an example of self-reliance and composure under pressure, and like an ISTJ, has a strong sense of duty. She’s strong-willed, direct, and quick to take charge of a situation. 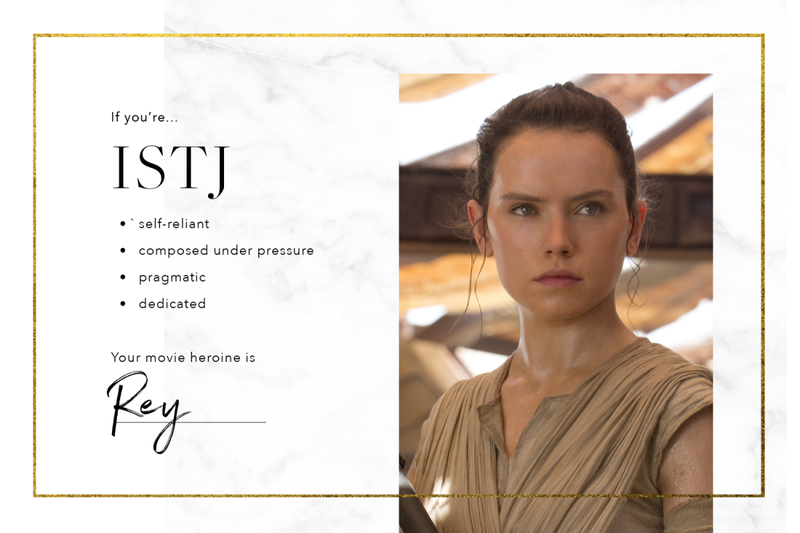 Rey’s best qualities are fitting of the pragmatic and dedicated ISTJ. In the smart 1998 rom-com You’ve Got Mail, Kathleen Kelly embodies the empathetic, supportive, and loyal ISFJ. She’s at once grounded and enthusiastic, practical and imaginative. Kathleen values tradition, and like the conscientious ISFJ, she believes in dedicating herself to a worthy cause. 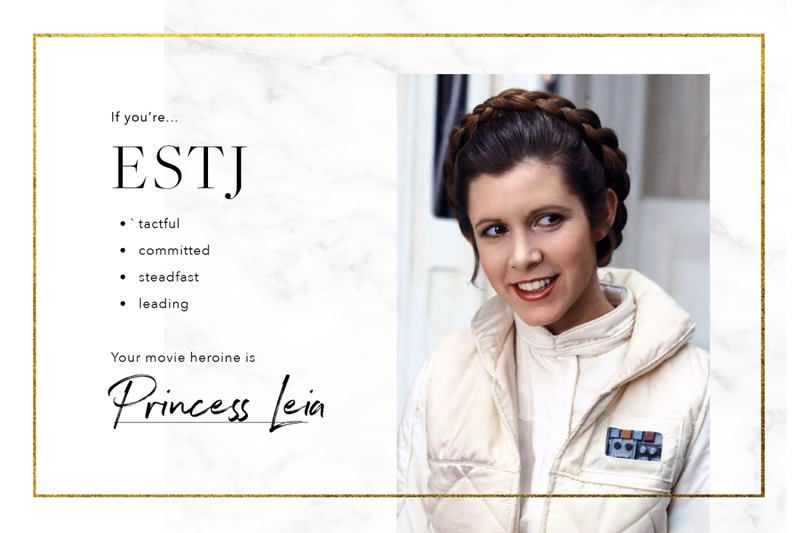 In 1977, Star Wars introduced moviegoers to one of the most tactful women in the galaxy through the character of Princess Leia, a classic ESTJ. Leia is fiercely committed to her cause. She’s a steadfast friend, too. Like the ESTJ, Leia respects rules. She makes a fair but straightforward leader who delegates with ease. 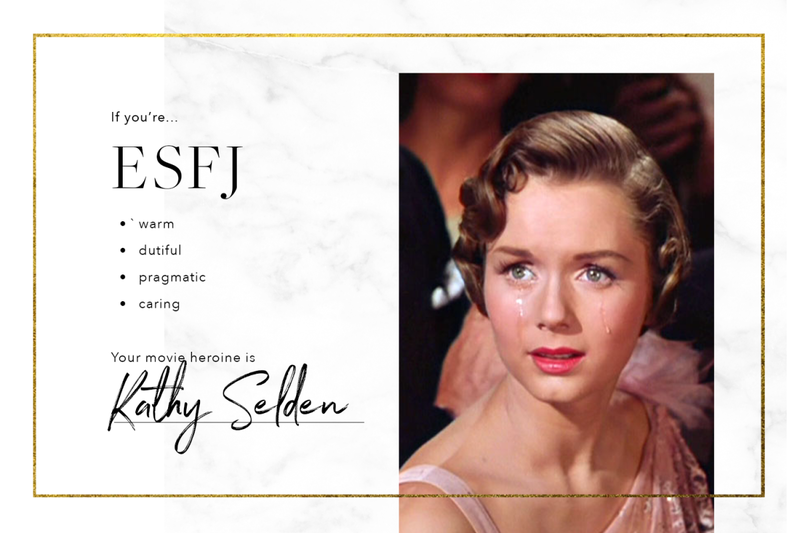 In the 1952 musical Singin’ in the Rain, Kathy Selden captures the warm, caring, and dutiful ESFJ. Kathy’s deep sense of loyalty guides her work and relationships. She would drop anything to be of service. Finally, Kathy is not only pragmatic but also able to find creative solutions to problems. 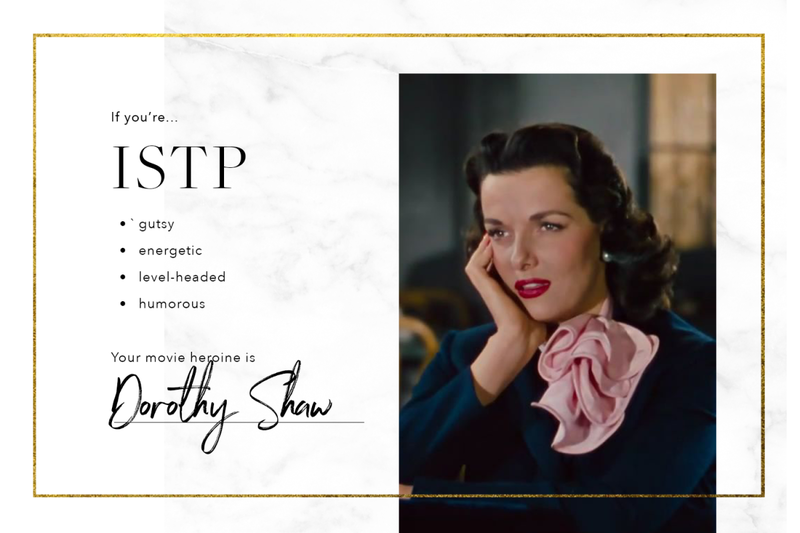 From the 1953 musical comedy Gentlemen Prefer Blondes comes Dorothy Shaw, a gutsy, energetic, and level-headed ISTP. As per her curious (and sometimes unpredictable) nature, Dorothy looks for exciting new experiences. 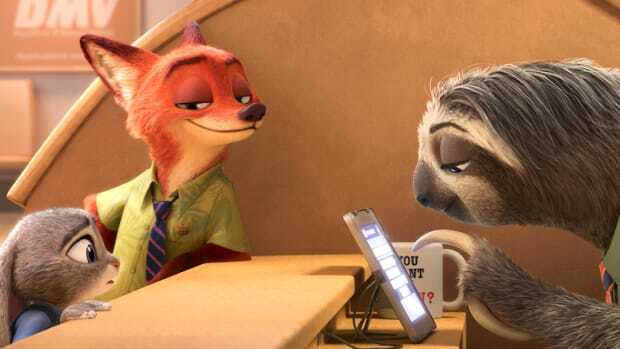 She is a creative, clever problem solver who displays the ISTP’s sense of humor and knack for logic. Princess Ann from Roman Holiday (1953) embodies all the charm, curiosity, and passion of the ISFP. 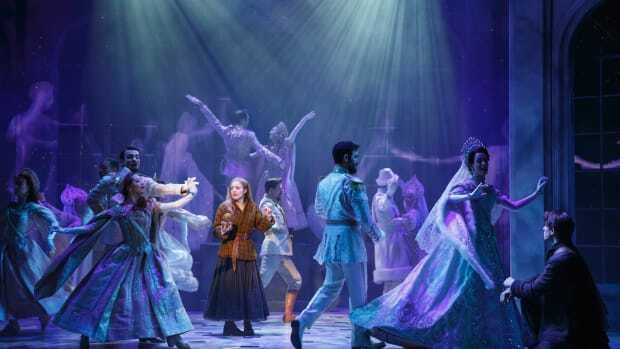 Princess Ann takes life on a whim. She craves spontaneity and new adventures. Though independent, she’s considerate of others and their feelings. 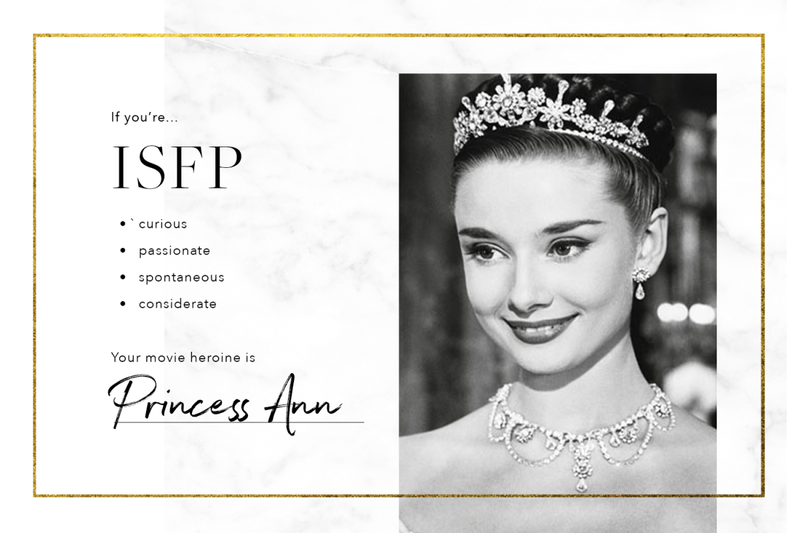 Princess Ann embodies the gentle but stubborn spirit of the ISFP. We meet Marion Ravenwood in Raiders of the Lost Ark (1981) as Indiana Jones’ energetic and headstrong love interest. 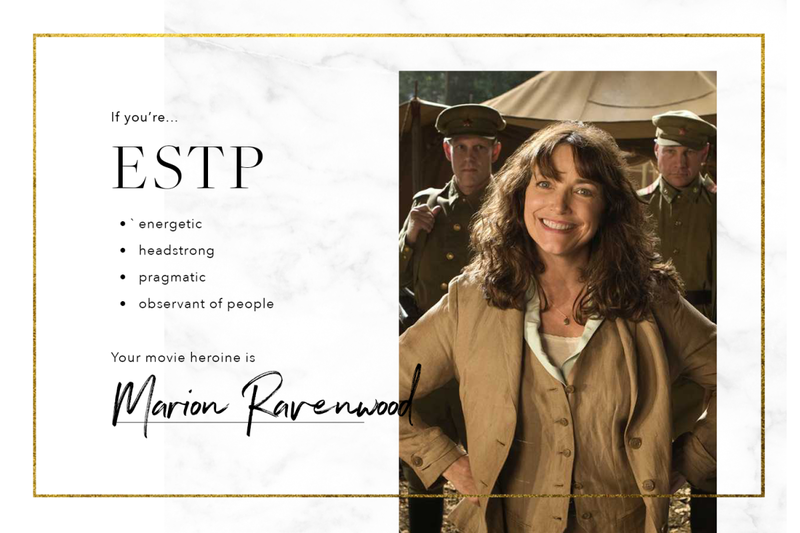 Never a damsel in distress, Marion is bold, pragmatic, sharp, and straightforward—like a true ESTP. Marion thrives on action and thinks on her feet. Finally, like the ESTP, she’s sociable and observant of people, too. No doubt, the creative, engaging, and ever-stylish Mia Dolan played a large part in making La La Land (2016) an instant hit. 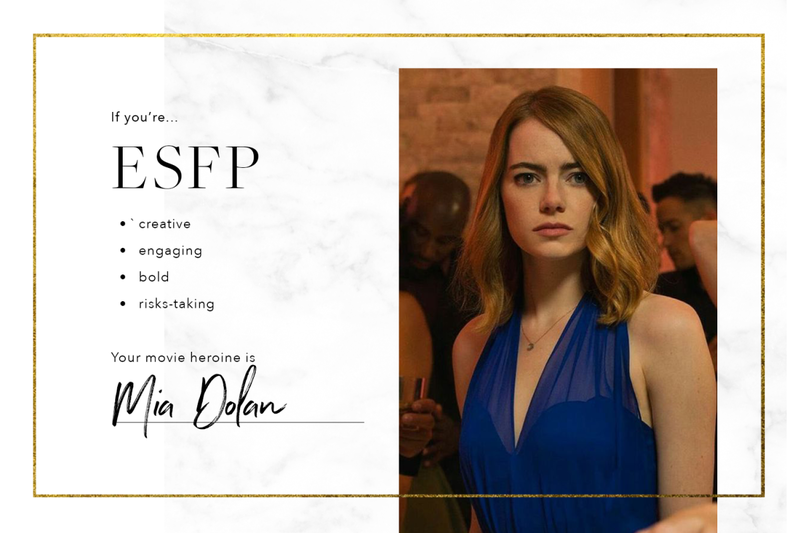 Bold and original, Mia embodies the best qualities of the ESFP. Though pragmatic, Mia isn’t afraid to take risks. She lives in the moment, as ESFPs do, seizing opportunities as they come. 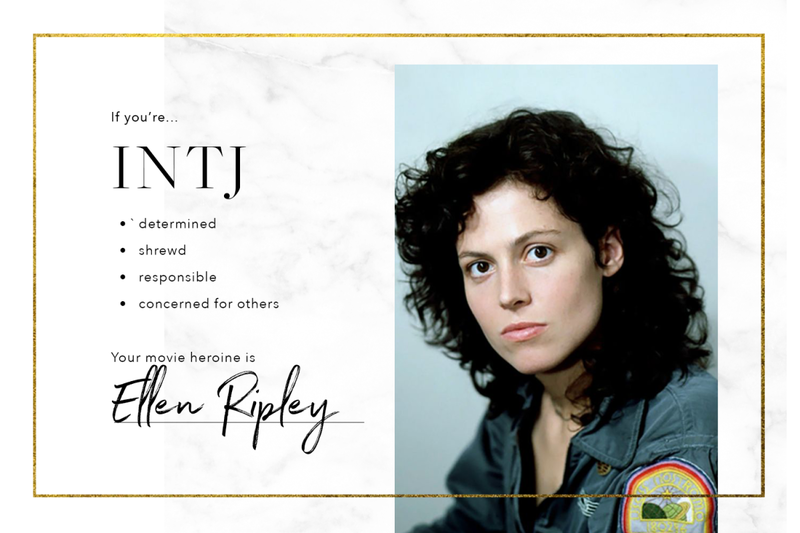 Ellen Ripley, the heroine of the 1979 sci-fi horror film Alien, displays the INTJ’s determination, shrewd logic, and decisive thinking. Competent like no other, Ellen trusts her instincts. Behind her fearless independence, her concern for others is evident. Objective, direct, and responsible, Ellen is a textbook INTJ. 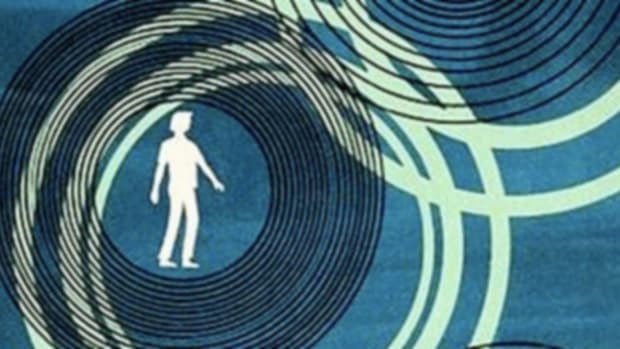 In the mind-bending thriller Inception, Ariadne resembles the logical, creative, and curious INTP. Ariadne has no trouble grasping theories or understanding how processes work. She’s adept at developing her own ideas, too. 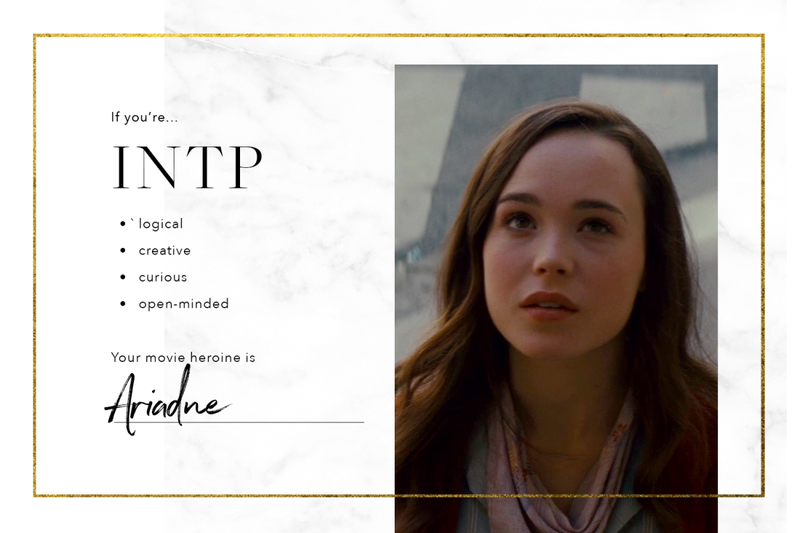 Like the open-minded INTP, Ariadne sees a world of possibilities. 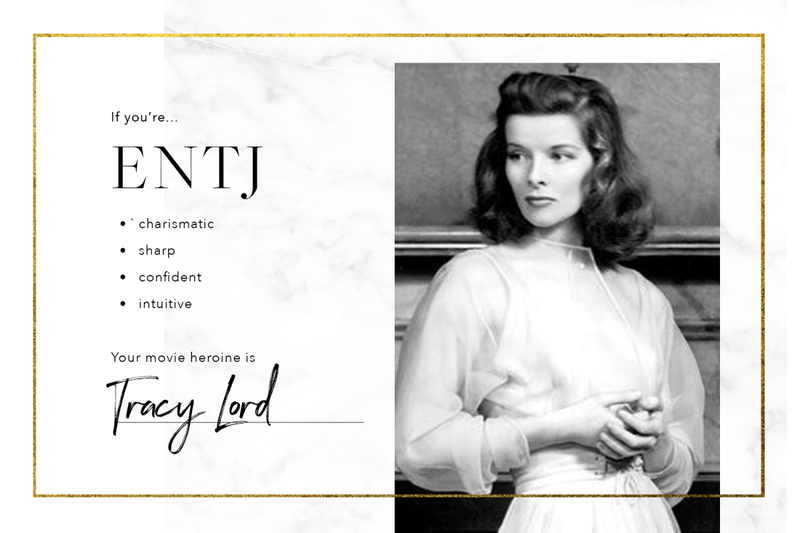 From the 1940 romantic comedy The Philadelphia Story, Tracy Lord radiates the charisma, sharpness, and self-confidence of the ENTJ. Tracy is strong-willed and intuitive, with a knack for logical, strategic thinking. Like a true ENTJ, she enjoys intelligent conversation and the company of people who challenge her. 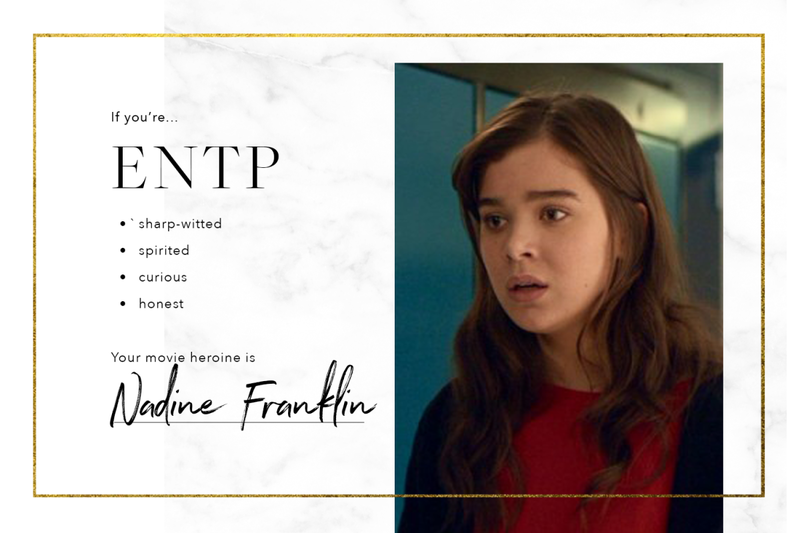 The sharp-witted and spirited Nadine Franklin, from the 2016 coming-of-age film The Edge of Seventeen, is as original as a true ENTP. 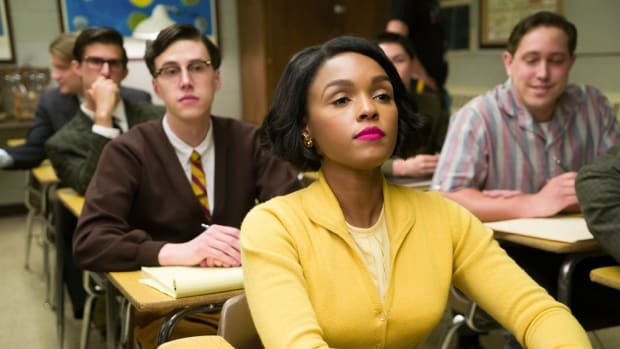 Like the ENTP, Nadine challenges the status quo. Her clever humor, curiosity, unapologetic honesty, and talent for verbal sparring are qualities that define this personality type.